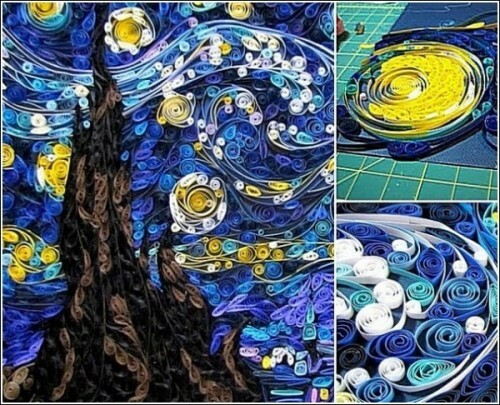 American artist Susan Myers has created awesome paper quilling version of Van Gogh’s Starry Night. 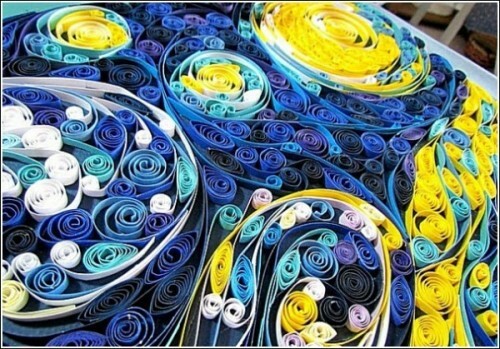 In particular, Susan Myers worked in small sections at a time. 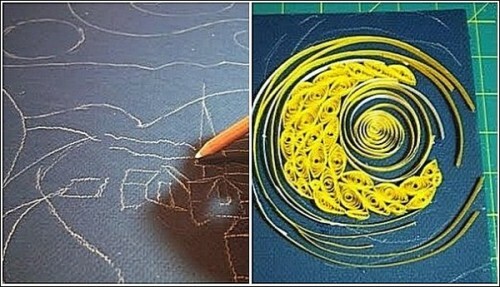 First, she put in unquilled pieces and worked around them. She completed the project in July of 2011, and sold about 8 months ago to a nice lady in Texas. 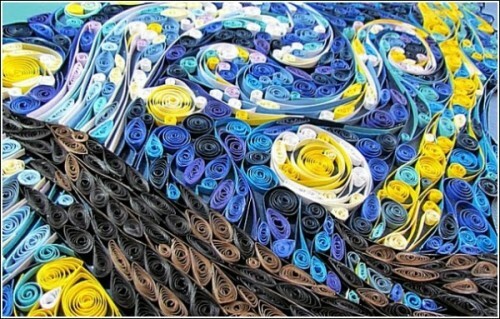 Susan Myers is the artist, craftswoman, writer and zookeeper, living in Atlanta, Gergia. 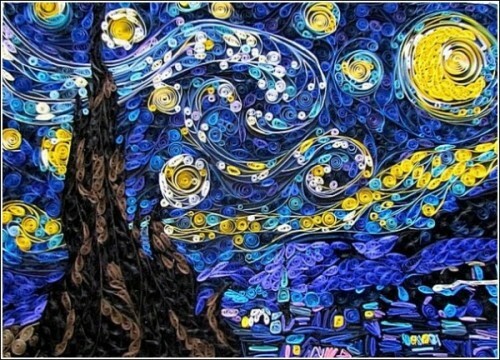 She has a background in fine art, graphic design and photography.